Whether written or spoken, what your audience will get from me are engaging, entertaining recipes for success. I sprinkle in frameworks and prescriptive information that session attendees can understand and act upon. A storyteller by nature, my approach is to reveal methods and technologies for success by sharing stories about my journey in working with hundreds of amazing clients. Manufacturing Demand: The Principles of Successful Lead Management teaches how top digital Marketing teams leverage marketing automation and CRM to achieve breakthrough customer growth. 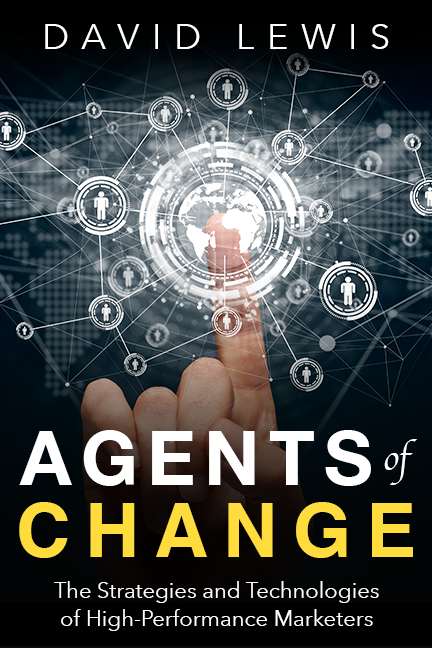 Agents of Change weaves real-world stories into an entertaining business fable about Marketing leaders and teams, and the collaboration needed to transform Marketing departments into revenue centers. 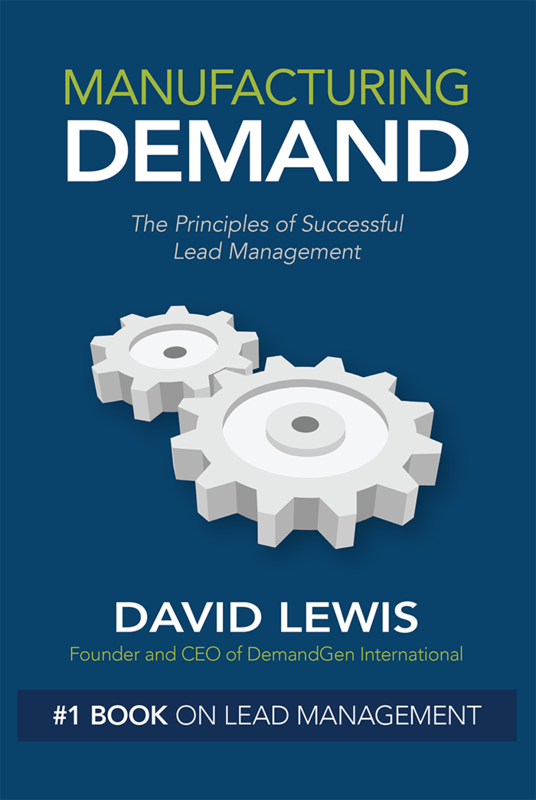 What I loved about this book on lead management was how David breaks down exactly what do to, and shares his team's methodologies for aligning sales and marketing. A must read for every modern marketer! Manufacturing Demand is a clearly written, easy to read manual which gives the reader solid tools to develop a process to align sales and marketing in an increasingly digital marketing environment. David's personable style and step-by-step approach provide a methodology for both the CEO and marketer to get the information needed to make decisions in a rapidly changing business context. This book is a must read for anyone who wants to demystify the metrics in their marketing process and create accountability in their organization. - Julie Reinganum, CEO Coach | Vistage International, Inc.
Manufacturing Demand provides proven strategies for those on their 'digital marketing journeys'. This book is a "must have" if you are starting or refining your marketing technology strategy. A great book that outlines in simple English why and HOW to create the modern marketing processes so necessary for today’s enterprise companies. David's book is excellent, one of the best I've read.